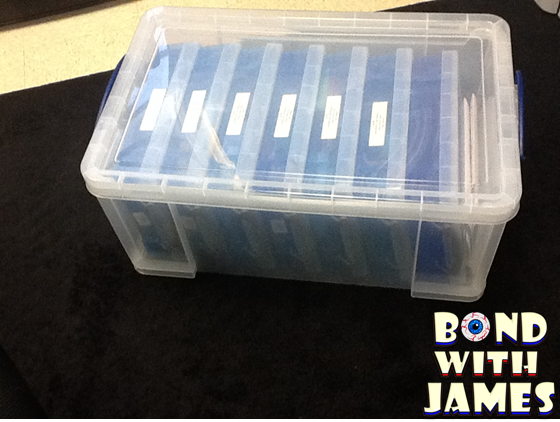 Bond with James: Bins, bins, bins! 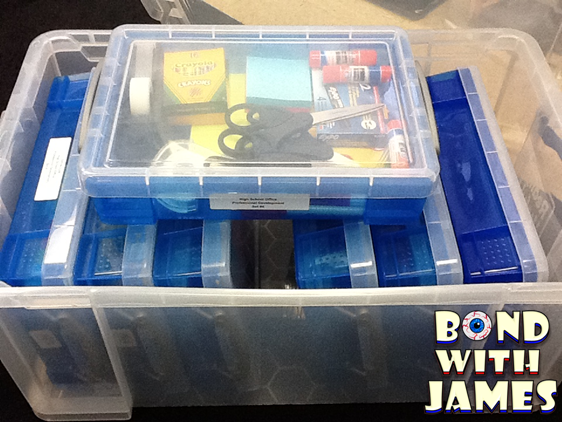 Group bins (or totes) have been a life saver over the course of my career as an educator. 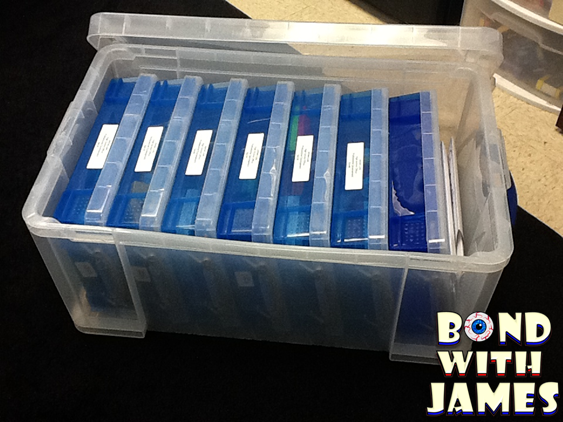 Not only do the bins keep me organized, it makes it so much easier for students to access materials. Additionally, I've used this same technique for professional development sessions across my district and at conferences. 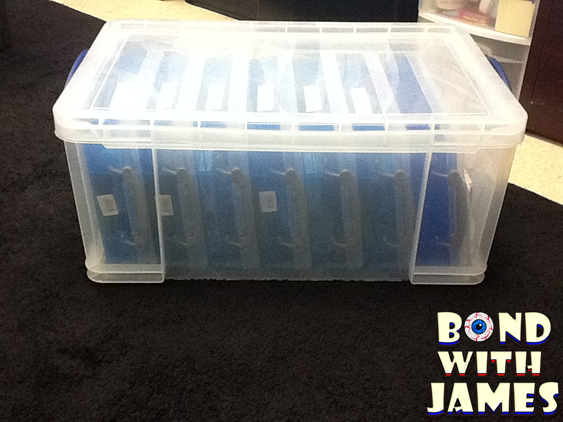 One thing that I've done to make it easier to transport a large number of bins is to purchase a larger tote to place the smaller versions into. I'm sure there is a large tote with an expanding handle and wheels similar to luggage, however, I didn't spend too much time looking for that version. 4 Scissors (I just completed a staff development and used adult scissors. I use kid scissors when working with students). I'm thinking about adding color pencils. 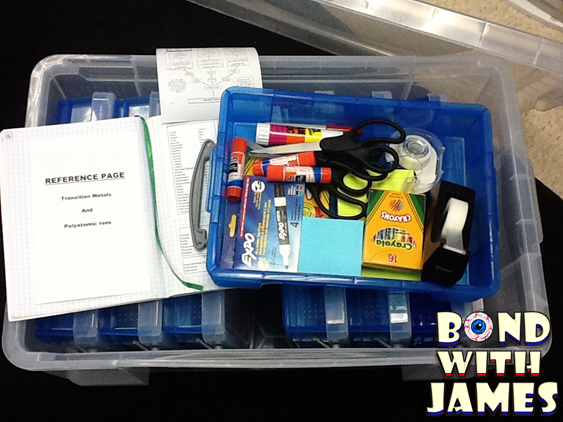 Each group gets a bin and all four students have access to the materials. 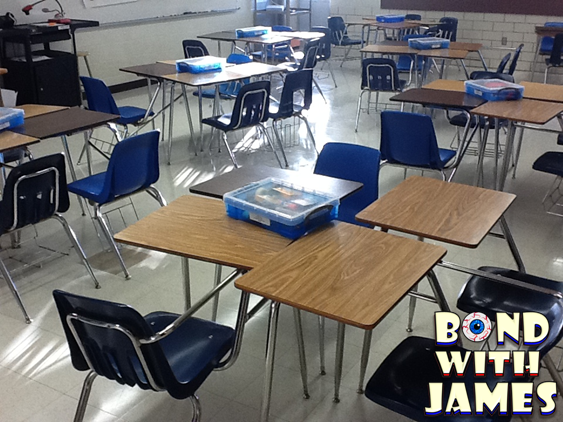 This is a classroom I recently conducted a professional development session in. However, the setup would be identical to my classroom (although, I had lab tables). The only time students really need to get up is to sharpen their pencils or throw away trash; or if we are moving based on an instructional activity. 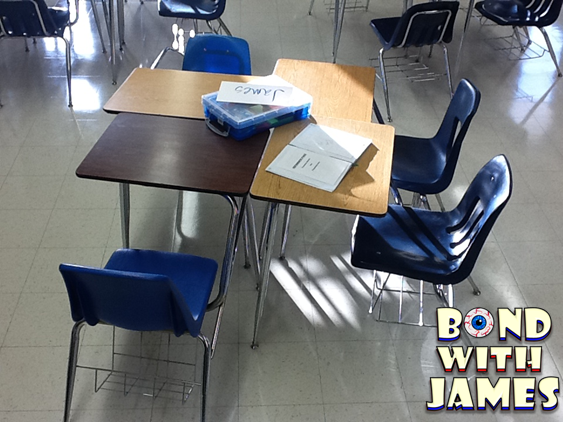 However, I purchased cheap bins from the dollar store and placed one at each group table to make trash disposal easier. Boxes and the group area were checked for cleanliness as a dismissal method (to save me from cleaning the boxes and the janitors from having to sweep all the trash off the floor). Additionally, I had two electronic sharpeners on both sides of my room to make sharpening pencils readily accessible for students. If you use interactive notebooks in your class then I recommend a system similar to what I have shared here. 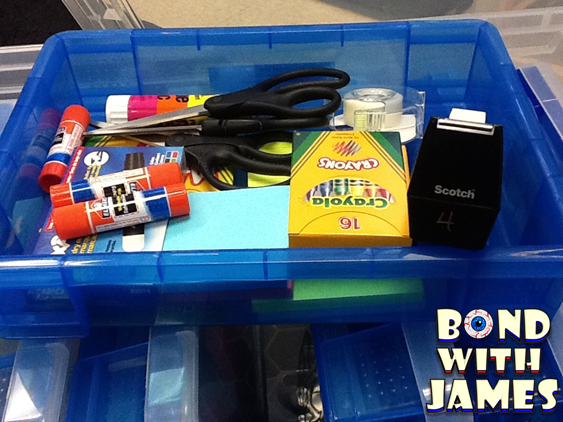 Your life (and the lives of your students) will be so much easier as they will have all the materials at their disposal versus a bunch of students getting up to grab random materials. For effective management of group activities, decide on activities before choosing a location or rescheduling may become required to meet some requirements. Also organizer must keep in mind the physical limitations of team members.